Manned Mission to Mars – Just 39 Days? Currently, to travel to Mars it would take about nine months. 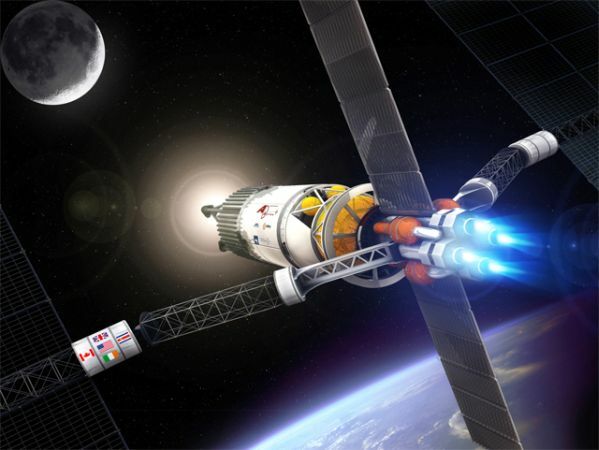 NASA’s newest space exploration idea, the Variable Specific Impulse Magnetoplasma Rocket (VASIMR) is proposing to be able to send humans to Mars in about six weeks – 39 days to be exact. The Ad Astra Rocket Company is funding the development of the VASIMR rocket. Ad Astra’s CEO, Dr. Franklin Chang-Diaz, explained that, “The VASIMR engine is not used for launching things into space or landing them back but rather it is used for things already there. We call this ‘in-space propulsion. '” Powering a mission to Mars is one of the biggest obstacles, since the trip is so long, we have yet to develop a spacecraft able to carry fuel long enough for the entire trip. To get rid of this obstacle, the VASIMR rocket will not run on fuel, but instead will be powered by an electrical generator. Chang-Diaz, who is also a trained physicist and former NASA astronaut, believes the only way to truly generate enough power for the VASIMR rocket would be by developing a nuclear fission reactor. The rocket would then work by heating plasma (a superheated material made up of electrically charged gas) and strong magnetic fields would funnel the plasma out of the back of the engine. The nuclear fission reactor would have to be developed to be “reasonably light” and still be able to have 10-megawatts of power – about the amount needed to power 10,000 homes. Thus far, this is something that does not exist, and according to Chang-Diaz, there is not much pull for the development. Image: Ad Astra Rocket Co. 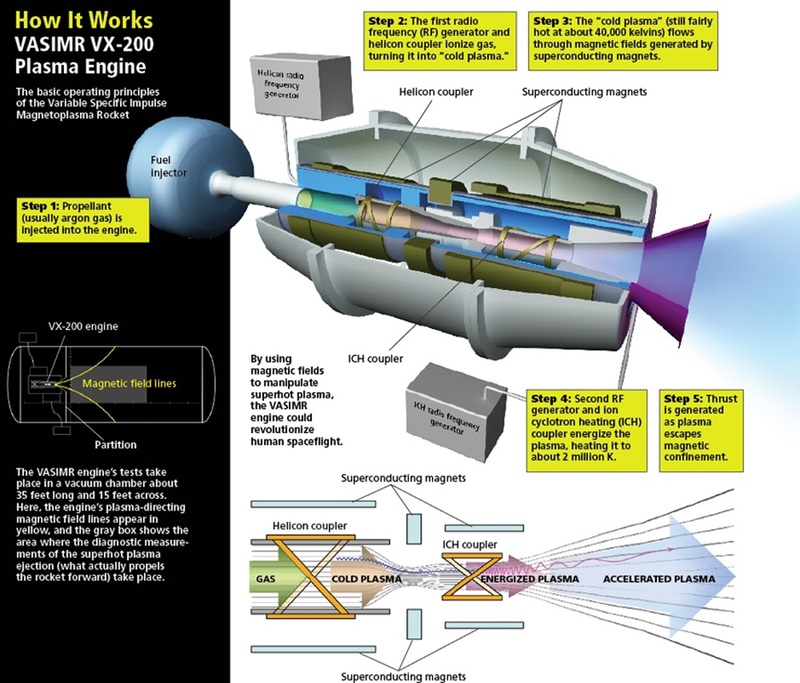 However, NASA’s 12 Next Space Technologies for Exploration Partnerships (NextStep) program is providing Ad Astra with an additional $10 million grant that just might turn the nuclear-powered VASIMR rocket into reality. Chang-Diaz hopes to have the first in-space test in 2016 onboard The International Space Station, where they will test the VASIMR rocket using solar power while the nuclear capabilities are still under development. He went on to say that, “Humans won’t go anywhere in deep space without this (nuclear power utilization),” and it is the only choice for a mission to Mars in the near future. The VASIMR rocket will then be tested periodically for small missions while onboard The International Space Station, until it is ready for the first nuclear- powered human exploration to Mars. So could a trip to Mars really be a possibility in our lifetime? Will the VASIMR rocket pave the way for humans to explore deeper into space? Check out the video below and let us know what you think!